The 4-star Wellness Hotel Aphrodite is located in the heart of Zalakaros, about 90 m away from the main entrance of the famous Zalakaros Thermal and Experience Bath. Our hotel’s specialties are the spacious balconies belonging to the rooms, with fantastic view to the Zalakaros Bath (these are the so-called rooms “overlooking the sea”) or to the town’s suburb of villas. You can choose from altogether 34 rooms of 4 different types, equipped with comfortable new furniture; geothermic wall, ceiling and floor heating and cooling (air conditioning); broadband Internet connection (Wi-Fi); LCD (flat-screen) TV; room safe; telephone; minibar and fully equipped bathroom. 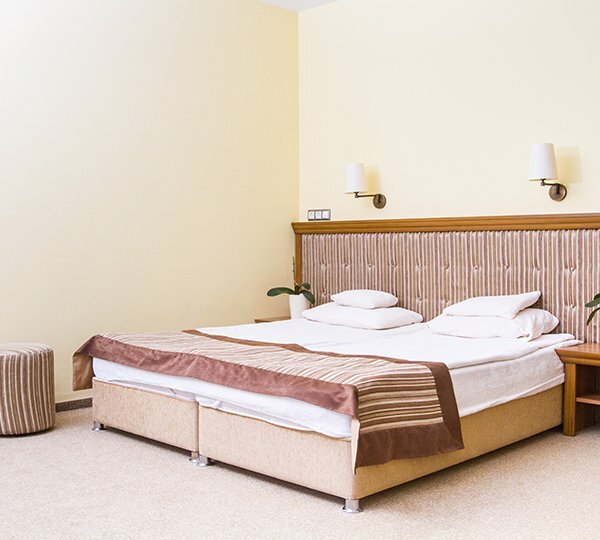 Most rooms can be furnished with an extra bed. For the little ones we place a small bed, a diaper desk, a baby bath tub, potty, kid’s toilet seat, and a little stool to reach the wash-basin, into the room. Upon request we can also provide a baby food warmer and a kettle. 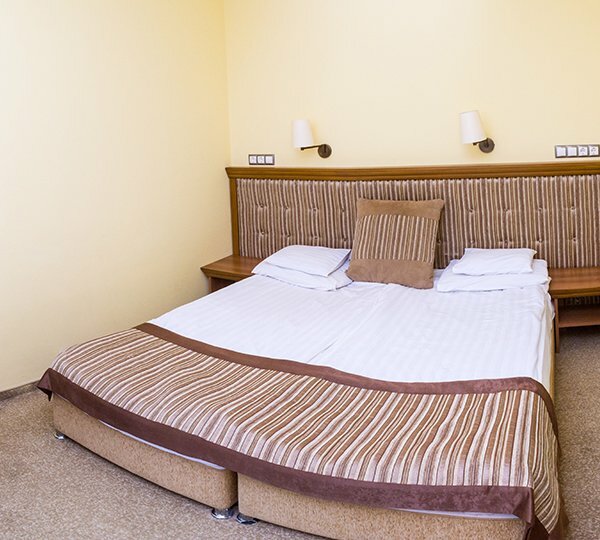 The whole area of the hotel is accessible, there is an elevator to move easily between the reception and the rooms, and we can also provide a room designed specifically for those with reduced mobility. Pet owners can also bring their pets for an extra charge. A separate wing is hosting our sibling hotel, the 3-star Hotel Venus. When can rooms be occupied, and when do I have to check out? Is there Wi-Fi Internet in the room? Can I smoke in the hotel and the room? Can I request a baby bed and diaper desk to the room? What means of payment does the hotel accept? Are pets welcome in the hotel? Can I choose a room overlooking the Zalakaros Bath?